Reconnecting seniors to their gardening roots one accessible garden at a time. Sage Gardeners is a non-profit philanthropic organization based out of Bozeman, MT. Their goal is to reconnect senior citizens in either retirement communities or private residences with their gardening roots by providing easily accessible raised gardens. Sage Gardeners believes it is important that seniors have easily accessible organic vegetable gardens because they provide quality organic produce, physical activity and social interaction for seniors. 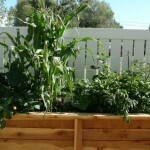 Raised gardens are constructed so that they are easy to access and do not require seniors to be on their knees or bent over in order to plant or take care of the vegetables. Sage Gardeners began in 2010 with a vision to make accessible gardens available to seniors in Gallatin county. The first gardens were built for the Parkhaven Retirement Community in Manhattan, MT with funding assistance from the Rural Health Initiative Incubator Mini-Grant Program. In 2011, gardens were built for the Summerwood/Spring Run Retirement Community in Bozeman, MT also with funds from the Incubator Mini-Grant Program. Both of these garden projects are ongoing and had bountiful harvests since they began. Gardens have also been built for several seniors living in private residences around Gallatin county. The private residence project focuses mainly on low to moderate income seniors in Montana. Sage Gardeners will create, build and assist in maintaining raised organic vegetable gardens in the private backyards of Montana seniors. They will assist in planting and harvesting, as well as assisting in maintaining the gardens annually and/ or aiding in purchasing fresh compost, mulch, plants, and seeds for the following years. The organization will provide ongoing support to the individuals based on each senior’s needs and abilities. The goal of this project is to provide as many gardens as possible as funding allows. Currently Sage Gardeners is focusing on providing gardens to retirement communities and private residences in the Gallatin county. However the long-term goal of Sage Gardeners is to provide accessible raised garden beds for retirement communities and private residences statewide. Raised garden beds at the Summerwood/Spring Run Retirement Community. Vegetable planting at the Spring Run Community. Ladies planting in the raised garden beds. Seniors enjoying a garden provided by Sage Gardeners. Interested in learning more about Sage Gardeners or how you can help them grow? Posted in Gallatin, Healthy Eating, Programs, RHI Incubator Mini Grant Project.